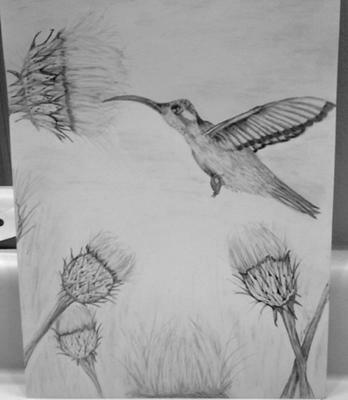 This is my first attempt at a hummingbird. I used a photograph for reference. The flowers are not exactly like the photograph as I still have to learn more techniques.